Local legislators joined Deutsches Altenheim CEO Michael Lincoln and German Centre Administrator Susan Citroni for lunch on our campus. The legislators were invited to officially meet Mr. Lincoln and Ms. Citroni, relative newcomers to Deutsches Altenheim. The agenda included discussion about the needs of nursing homes, including under-funded Medicaid reimbursement rates, and the critical role Deutsches Altenheim plays in caring for the well-being of Greater Boston seniors. 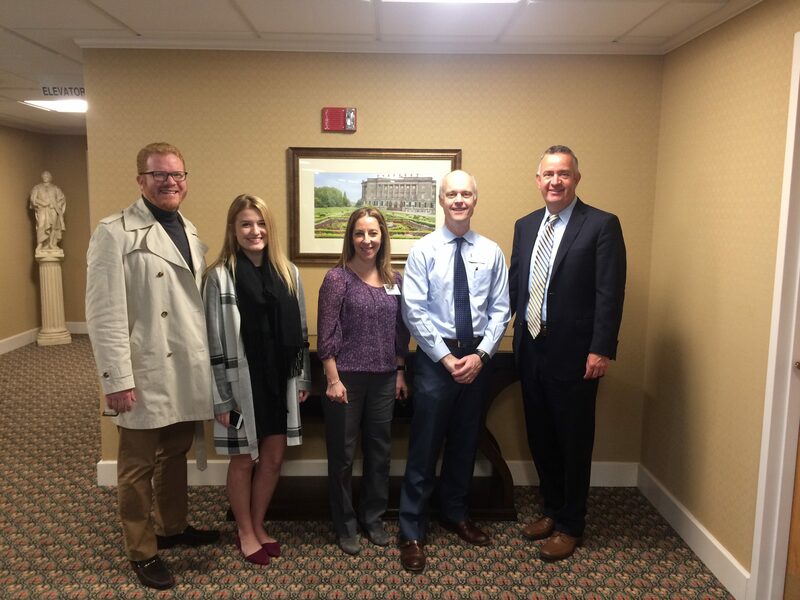 Pictured (l-r): Matt O’Malley, Boston City Councilor – District 6, Colleen Bellotti, State Senator Mike Rush’s Legislative Aide, Susan Citroni, German Centre Administrator, Michael Lincoln, Deutsches Altenheim CEO, and State Representative Ed Coppinger.